As a daily bag a tote bag "garden party" of the extreme popularity. Large attention color "ROSE POURPRE" as for the color in 2017 A/W! The purple system color of adult full of senses of fun becomes gorgeous suddenly instantly just to have. It is refined, and the material becomes the soft model push that it is easy to use and is good to the rearranging of the accessory because it is accompanied by one place of fastener pocket belonging to it inside. Manageability including the simple design which you live on cloth to a dirt, and the lining is machined, and is easy to put a thing in and out is preeminence! PM size which can be stored without folding A4 size with large capacity is a big success in various scenes! 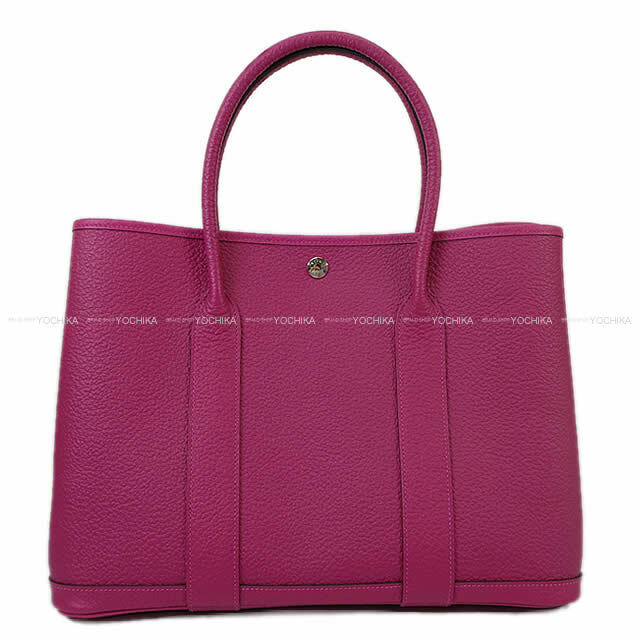 It is a bag full of luxurious feel unique to Hermes which is not too casual. You can use it widely in various scenes! It is very convenient if there is one! *A little of scratches on corners.